I've been fortunate enough to have enjoyed a few days off this week which allowed me to gorge myself on not one but two games - almost unheard of for me! 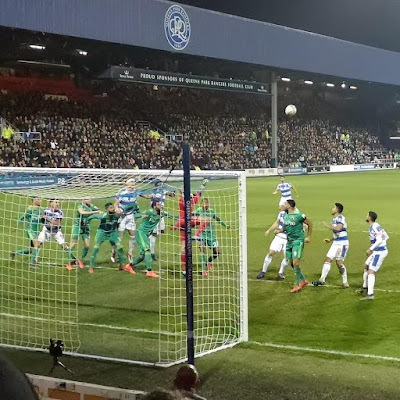 On Tuesday I went to see an ailing QPR side take on a promotion chasing West Brom. Things began badly with an early goal for the visitors and Rangers proceeded to get steadily worse from that point. However, a second goal didn't materialise and we somehow got level through Luke Freeman and could have even been ahead at half-time. Another woeful error under no pressure by Joel Lynch lead to the Baggies retaking the lead against the run of play but again QPR fought back with substitute Tomer Hemed winning and converting a controversial penalty. Steve McClaren's side looked capable of winning it at this point but with around 10 minutes to go and all subs used, play-maker Freeman limped off and we had to hang on with 10 men which we did until the last kick - Jake Livermore scoring from close range after earlier surviving a very strong red card appeal against him. It was heartbreaking for the players and extended their losing run to six games - it became seven on Saturday when they unsurprisingly lost at Middlesbrough and it could become eight when they welcome a talented Leeds side on Tuesday. The run of fixtures has been tough - eight in February against most of the top clubs and a good Premier League side in the FA Cup - so hopefully things will calm down a bit in March and we'll get the three or four points we need to get us to the tally that usually sees teams stay up. 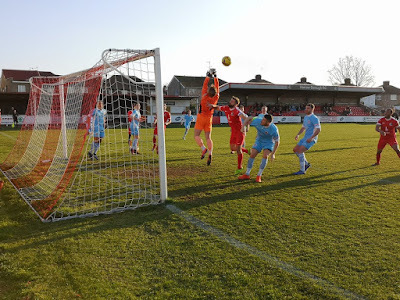 On Saturday I went to watch Harrow Borough take on Poole Town (Charlie Austin's former club) who had recently replaced the Boro in the play-off places. Steve Baker's side were also going through a dodgy patch so I wasn't hugely confident. The first half hour was close enough until a goalkeeping error gifted Frank Keita an opening goal. After the break he grabbed another and Anthony O'Connor also netted a brace as Harrow ran out 4-0 winners in what became a pretty comfortable win. Credit to Poole though whose heads never seemed to drop and kept going until the final whistle despite never seriously threatening. For a much fuller report and some great photos visit 'The Grass Roots Tourist' blog - you might even see a cheeky photo of me. Talking of photos, I switched to a new phone recently (Huawei P20), did a bit of basic research on camera shutter speeds and my pictures have improved hugely - they've even been used on Harrow's website after yesterday's game. What an honour! Sticking with the subject of Harrow Borough, on Tuesday they defeated local rivals Hayes & Yeading United on penalties to make it to the Middlesex Senior Cup Final in April which this year will be played at Griffin Park against either Brentford B or Barnet. What a great opportunity for everyone involved with the club given the famous old ground will be shut at the end of next season. It's been great to hear from quite a few of you this week with your comments, questions and updates. Whether you've been to the Carabao Cup Final or Clapton CFC it's been great to learn about your travels and adventures watching the capital's clubs. I also received an email from an amateur club in Catalonia who are celebrating their 40th anniversary this year and coming to London between the 5-7 April and are looking for a friendly as part of those celebrations. I've told them that finding an opponent over a weekend could be tricky but if your club are without a game and you'd be interested in hosting UE Sant Miquel then let me know. I'm back to work this week so there won't be any live action for me. Lastly this week, many thanks to Bryan and Cat D who donated to TLFG's lung cancer fighting fund this week. I really really appreciate it. The highlights of the next few days include action in the Premier League, EFL and loads of action in our local non-league competitions. There are also some eye-catching U23 matches too. Phoenix Sports v Cray Wanderers @3pm - firmly lodged in midtable, the season is pretty much over for the hosts but they can play a small role in deciding who wins the title as they welcome current leaders Cray for this local derby. The impact they make on the title race could be minimal as Cray are way out in front but Horsham cut their lead by a point on Saturday so anything's possible - right? I was on early shifts all week, starting at 0400 one day so being up writing at after midnight is starting to take its toll with my body-clock not fully adjusted yet. Despite this, for the second week running I managed to get to a live game and another QPR one at that. Having been to the two previous FA Cup home games against Leeds United and Portsmouth, I also managed to get a ticket for the visit of Watford. For the first time in a while, Loftus Road was sold out for the visit of the team currently ranked eighth in the Premier League. 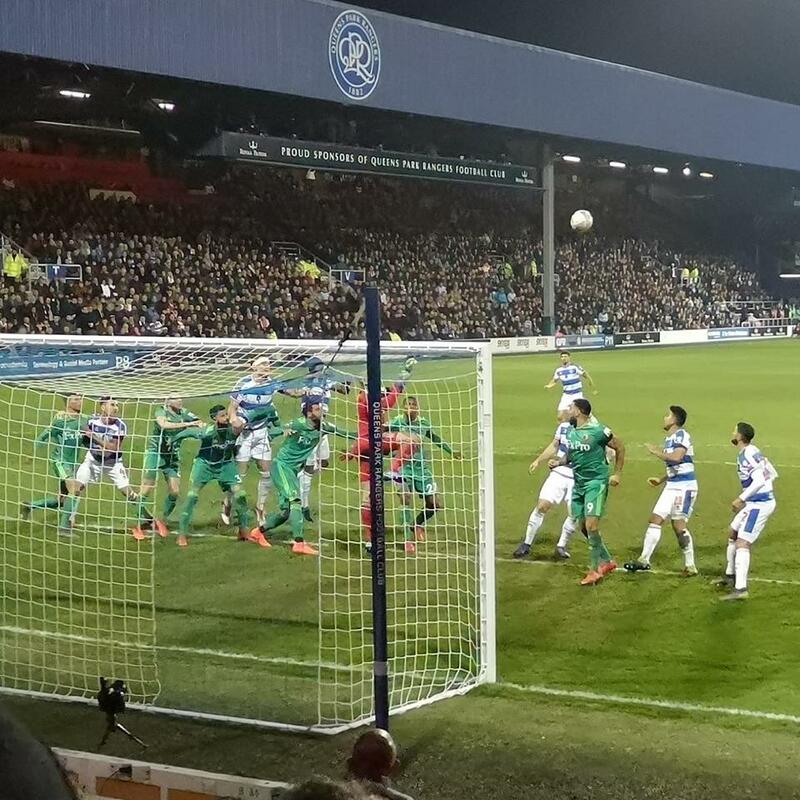 The Hornets as a similar size club who play around 15 miles north of Shepherd's Bush have always been one of QPR's main rivals. It's not a particularly bitter relationship but it's a competitive one. I have to look at their current status with begrudging respect - there's no way a club of their size should be holding their own quite so easily but they are and fair play to them. The match itself was not a classic and it was settled by Watford's only shot on target just before half time when Tom Cleverley's woefully mis-hit shot fell perfectly for Etienne Capoue who fired home instinctively. There was a lot of huff and puff from QPR throughout the second half but a fine display from veteran goalkeeper Heurelho Gomes and some inaccurate finishing from Rangers made sure it stayed 1-0. It was disappointing that Watford decided to time waste from the moment they went ahead but overall they did a professional job and never looked rattled despite some fairly concerted pressure from the hosts. If I were a betting man I would put a few quid on Watford to win the cup this year. I said this before the fifth round draw and although unconvincing on Friday, I've still got a good feeling about them. In other news, it was good to see one of our local non-league clubs going viral on social media again this week. Raynes Park Vale were hosting Horley Town in the Combined Counties League when they were awarded a penalty - watch the clip below to find out what happened next! Lastly this week, many thanks to Kelvin and Jonny S who donated to TLFG's lung cancer fighting fund this week. I really really appreciate it. The highlights of the next few days include action in the Europa League, Premier League, EFL and loads of action in our local non-league competitions. There are also some eye-catching U23 matches too. 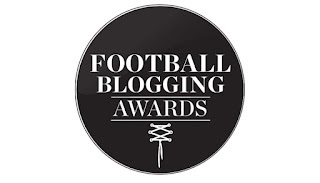 Welcome to the latest edition of TLFG and apologies for the late publication - apart from a few early kick-offs in U23 games, I don't think you're going to miss out on too much. The last week hasn't been as action packed as we would all have hoped because snow blighted large parts of the fixture list, particularly at non-league level. Nonetheless, there were some cracking games not least the 3-3 draw between Barnet and Brentford in the FA Cup which got the week off to a great start on Monday. There have also been two rounds of Premier League games since I last wrote with a number of spectacular wins and losses for our local clubs but ultimately not very much changed. Spurs are still our top local club and Fulham are really struggling - everyone else just seems to be muddling through. Brentford were the star performers in the Championship with a superb 5-2 win over play-off chasing Blackburn - a result made all the more impressive by the fact they were 2-0 down after seven minutes. Thomas Frank's side are now unbeaten in seven and pushing for a place in the top half. Our local League One sides both lost but while Charlton stay firmly in the play-off places, AFC Wimbledon are still bottom and now nine points adrift of safety. In the FA Trophy, Bostik League club Carshalton Athletic came from two goals down to draw 3-3 with Barnet who play two levels above them whilst Leyton Orient squeaked past Blyth Spartans to book their place in the quarter-finals. Chertsey Town saw their FA Vase game at Irlam snowed off but in the all-London tie, Cray Valley PM beat Abbey Rangers 3-1 to make the last eight. The quarter-final draw for both competitions is on Monday lunchtime. I've got a few days off now so will get to go to only my second QPR match of the season as they entertain Portsmouth in an FA Cup replay on Tuesday night. Although from the division below, Pompey will be incredibly tough to beat and will be roared on by their fans who have completely sold out their allocation of tickets. The winners will have an attractive home tie against Premier League Watford in the next round - they're actually my outside tip to win it this season. Many thanks to Michael C and Andy LW who donated to TLFG's coffee drinking fund this week. I really appreciate it and thanks again to all those who have contributed in the past. On the subject of the coffee drinking fund, things are going to be changing from now on after I received the news on Thursday that my Dad has lung cancer. This condition also claimed the lives of my Mum and grandfather so with me powerless to do anything medically to help him, I've decided to ask for all donations to this blog to now go to the Roy Castle Lung Cancer Foundation which you can contribute to through the fundraising page I've set up. Sorry to end my bit on such a low note but the good news is, the doctors haven't written him off yet and there is a chance. The highlights of the next few days include action in the Premier League and EFL, a couple of FA Cup replays and loads of action in our local non-league competitions. There are also some eye-catching U23 and U18 matches too. There's nothing on at all in London on Friday so if you want your football fix then you're going to have to clock up some miles. The biggest game of the day is the Championship match between Aston Villa and Sheffield United in Birmingham. There are still a few tickets available and it is possible to get trains back to London after the match with the last one leaving New Street at 2310. Closer to home we have the Evo-Stik League match between Winchester City and AFC Totton. Both clubs are sitting just outside the play-off places so there's a fair bit at stake. Winchester is a very historic city and is well worth a visit in its own right so if you're free, think about making a day of it. There are also plenty of trains back to London after the game too. Hayes & Yeading United v Cheshunt @3pm - after the blip of a 2-2 draw at Ashford Town last Saturday, leaders H&YU responded with a 5-1 midweek win at Chalfont St Peter and an 8-1 drubbing of Hertford on Saturday to quell any doubts about their title ambitions. The west London club have now scored a ridiculous 95 goals in 23 league games (still more than any other club in the country) and are 12 points clear at the top. Cheshunt, at the time of writing, are fourth and have promotion ambitions of their own but will it be a case of damage limitation even for them? British Airways v Bedfont & Feltham @3pm - there's another interesting groundshare derby on the west side of town where tenants BA host their landlords. 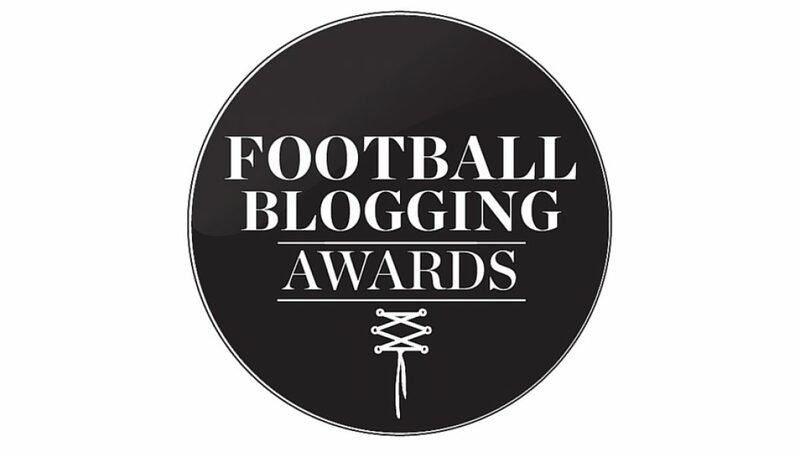 B&F, although third, are the title favourites because of their games in hand. The most notable thing about this ground is its location next the runway at Heathrow Airport so if you love football and plane spotting you'll think you've died and gone to heaven!